Tomorrow's Leaders Convention is the drawcard of the year for corporate black-belts in the making: executives primed to take the helm in the boardroom and beyond. Hosted by award-winning Leadership magazine, the convention engages these hand-picked leaders of tomorrow with the business celebrities of today and provides invaluable networking. 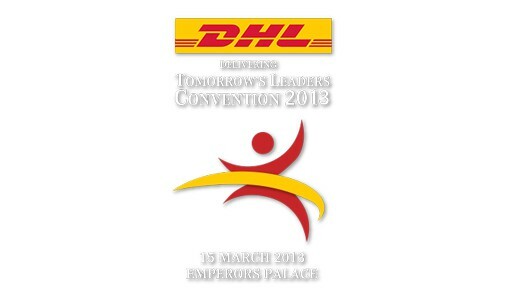 This year's theme: Vision 2030. What must South African business do to achieve these visionary objectives? What opportunities does the National Development Plan hold and how can they be realised? And: Is South Africa in step with the rest of Africa? Speakers addressing these issues will include the country's top economic policy-makers as well as business champions from some of the continent's fastest growing economies. The National Development Plan 2030 is an inspirational document that calls on all South Africans to participate in making the future work. The text convinces us that by combining the spirit of the post 1994 Rainbow Nation with the hard lessons of experience, it is well within the capability of South Africa to further develop the process (already boosted by successful mega projects such as the FIFA 2010 World Cup) of 'drawing on the energies of its people, growing an inclusive economy, building capabilities, enhancing the capacity of the state, and promoting leadership and partnerships throughout society' to such an extent that the goal of eliminating poverty and reducing inequality by 2030 is tangible and within our grasp. However, unless all South Africans buy into Vision 2030, the inspirational words contained within NDP 2030 will remain merely that. As the text itself explicitly states, without the participation of society as a whole, the plan to 'accelerate progress, deepen democracy and build a more inclusive society' will fail. The cornerstone of any future growth remains the economy. It is not possible to contemplate 'economic wellbeing for all' without the whole-hearted participation of the country's private and public sector economic players. For that to occur, leadership must engage with Vision 2030. 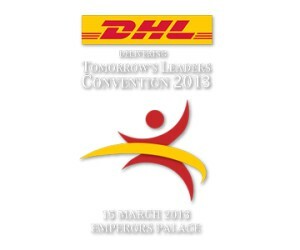 The Tomorrow's Leaders Convention 2013 offers an exceptional platform for the champions of Vision 2030 to engage with business leadership from across the economic spectrum, including, crucially, the up-and-coming leaders who will be guiding their organisations until 2030 and beyond. It is an opportunity to kindle leaders' hearts and minds so that they will carry the flame. The format of the convention allows for high level interaction with all participants and a highlight is the sector-related breakaway sessions which cover up to 10 key sectors of South Africa's economy. The resultant report is titled the "Blueprint for Corporate South Africa".